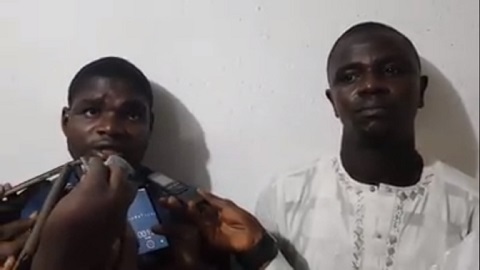 The Kano state police command has arrested two men identified as Musbahu Usman and Nura Husain who allegedly conspired and trailed an innocent person from bank. The Command’s Public Relations Officer, SP Magaji Majiya said that on Sept. 19, at about 3 p.m. the duo trailed an innocent person from a bank along Bank Road, Kano after withdrawing the sum of N500,000. “They attacked him along Audu Bako Way while boarding a tricycle but they were arrested while the money was recovered from the suspect’s instance,” Majiya said. The duo will be charged to court accordingly.